Wedding Video Guts & Love. ..and they found it, by holding each other’s hand! Vaggelis and Sophia share a rock attitude towards life. This is obvious by their sights, their words, the way they exist in the space around them. So, our inspiration for their wedding video had a cinematographic style framed more as an action movie, than a romantic story! During the opening scene the bride describes how we got here: a christmas ball, sugarcoated biscuits and notes made this wedding proposal look like the hidden treasure hunt! Fortunately she made it to the point X of the map, so Vaggelis is a nominee for the prize of the best original screenplay! So, by joking and laughing we shared the wedding preparations of this crazy couple. Sophia was relaxed and chilled while enjoyed her beauty treatments and had the feeling that she was getting ready for a party. Vaggelis had started already joining this party with his besties! In a wedding, it’s always the leading roles that create the atmosphere and the feel-good and in this case neither the priest of the wedding ceremony nor the appearing bellow wedding videographer-cinematographer were left behind the teasing mood! Thus, our cameras had a lot of action, in terms of moments and lines, to capture, in order to create a movie trailer a-hit-to-be! The wedding party that followed was equal to everyone’s expectation and transformed Grand Resort Lagonissi to the shooting scene of the coolest love story! Night aerial shooting with drowns were a must. The spirits ran at high levels, the dancing never stopped and the guests took part in this production being a lot more than just supporting roles! The title of it: “Guts and love”. Does love need guts? To be continued on screen by Stabasopoulos cinematography! Tania and Arash met at when they were in college at the University of Southern California (USC) in Los Angeles. They continued their studies, and both became doctors. Tania did all her medical training in Los Angeles, while Arash spent 9 years in New Orleans, but they remained together throughout that time. They wanted to get married is Santorini for several reasons: They wanted an Orthodox ceremony and they dreamed it to be in small and intimate environment..
Also, because of the beauty of the island and their desire to have a destination wedding, and Tania’s Greek origin, the island of Santorini was the perfect choice for their desires, as well as the best location for their guests to have lasting memories. Many of their family members from all over the world were able to come to the wedding, and travelling to Santorini was a convenient trip for them. Arash’s grandmother was a history professor, and it was always her dream to come to Athens and Greece, and she was able to fulfill that dream as well. Their wedding designers ‘Poema Weddings & Events’ managed & designed every single detail for them. From the very first touch with the Poema Team during their pre wedding visit to Santorini island, they just had a good feeling and they keep insisting that they are more than glad & happy they went with their instinct. 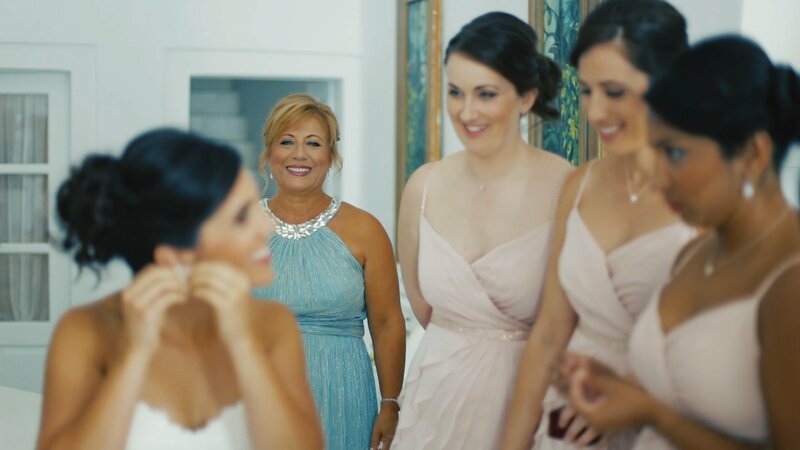 They are highly satisfied & excited with their stylish wedding photos captured from the talented International Photographer Thomas Gallane, and their one-of-a-kind video from the great artist-cinematographer Alex Stabasopoulos. They dreamed about an elegant outdoor wedding with the majestic view of Santorini island. The impeccable service and timeless luxury were the perfect backdrop for the most magical day of their common life. Tania and Arash enjoy life’s rose since the day they were met! Their love bloomed even when they shared it being away one from the other, since distance was always meaningless to them. So their wedding could be nothing less than a fairytale! Location of the thread unreeling of this: Santorini for sure! Our cameras and mainly our angle of view took over the creation of a wedding video that would bring to them wide smiles! Preparations of the couple to be married were hugged by the love of their close friends and family who arrived at the island from all around the world! It was one of the last August afternoons at Santorini and the sweet melancholy of the summer ending gifted to us an exquisite warm light for this wedding cinematography. The amazing chapel at breathtaking Thermes was everything they had dreamt about, while the Aegean Sea colored the perfect canvas for our wedding shooting. The party followed was equal to the story telling of the “happily ever after”, while the sensation spread around was dressed at the floral pink of the protagonists’ love. Into this ambience of romanticism and sweetness, bride’s dad gave in his princess under the condition of..exchanging soon with a descendant! On the other hand, the gorgeous guests never quit dancing to Greek traditional music among others! The ball of thread unrolled like the ribbon of our camera in vintage times and the capturing of the fairytale by a wedding cinematographer finished with fireworks at the sky! Tania and Arash we wish you keep on vitalizing your common dreams by never forgetting that sparkling eyes looks between you! Written by wedding cinematographer on January 27, 2017 . Posted in Useful articles. Santorini is the witch of the Aegean, who rightfully and deservedly once had the name “Kallisti”, that is, in ancient Greek, “the most beautiful”. Many myths and beliefs follow it, but the greatest truth among all, is that one moment is enough to fall in love with it! Written by wedding cinematographer on January 26, 2017 . Posted in Useful articles. Once upon a time, there was a Greek girl, Antonella and a French boy, Centric. From the moment they met, they fell in love deeply, and, when they decided to officially share their lives and …their madness, the choice of an alternative wedding to the wonderful Greek island of Paxos was the ideal one for their dreams! “Love is not what you get but what you give” and Sara and Alex seem to know that pretty well! This love was born somewhere between London and Hong Kong, was bred with caress and sweetness, matured through true looks and arrived to Mykonos to be celebrated in a special, touching and absolutely… teasing wedding! The wedding ceremony took place on a rock above Aegean Sea and was bathed in the Greek sunlight, whose the best possible handling is always a challenge to a wedding cinematographer, as much as the printing on image and sound of a crazy love like this one! Thus, the idea of the animation came up to us. The couple only played in front of the camera for a few minutes. Everything else was taken charge by our imagination in cooperation with the video editing! The party that followed the wedding ceremony was equal to its Mykonian reputation and the wedding video was representative of it! Syrtaki, traditional dancing from Greek islands and frenzied music beats took us up at dawn, while the… international guests of the couple ended diving in the swimming pool! Beloved Sara and Alex we wish you as much happiness as humorous were your wedding vows! 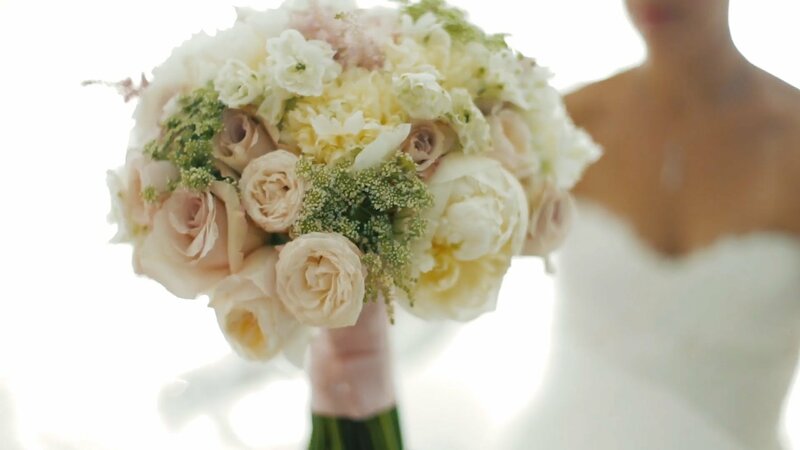 For Natalie and Firas we prepared a particularly impressive cinematic wedding video, as their own special day could not be captured on camera in anything less than that! 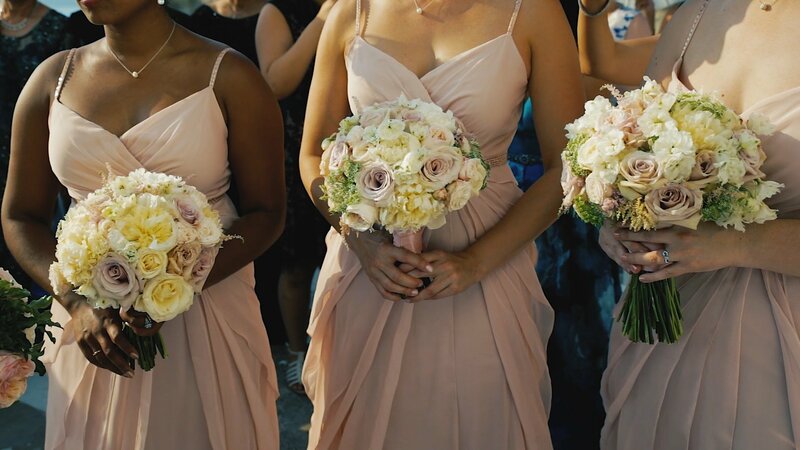 Somehow like this, Dana and Shadi opened their hearts and let them fly to the sky of Athens, at a hot Greek noon, while all of their friends were there to share with them their own wonderful world! The beautiful couple chose the seaside part of Athens to be the place where they would exchange their eternal love vows and they were totally rewarded by that choice! The sun glitter at the blue ocean, the unique daylight, the golden sand and of course the couple in love along with their guests created the ideal scenery for a special four-camera wedding video shooting by us! The aerial video shootings were some of the highlights of this wedding video, as they captured in the best way the unique moment the white balloons flew to the sky! The preparations of the couple found all the amenities and comfort that the special day required at Margi Hotel, while the flawless organized ceremony competed with the wedding party in elegance and class! The picture of the couple dancing by the sea under the sounds of the live jazz music was a strong inspiring moment for our work as wedding videographers, wedding cinematographers, while the small lamps on the water tried to lighten our video shooting! One of the last scenes of this wedding video teaser ought to be the wonderful moment that Shadi’ s daughter wished the newlyweds for a baby to come! Our wish for you is to have a beautiful life journey where all your dreams will become true just like on your wedding day!